This is a relatively small issue and typically doesn’t have much impact on the game, but worth taking a quick moment to clarify. 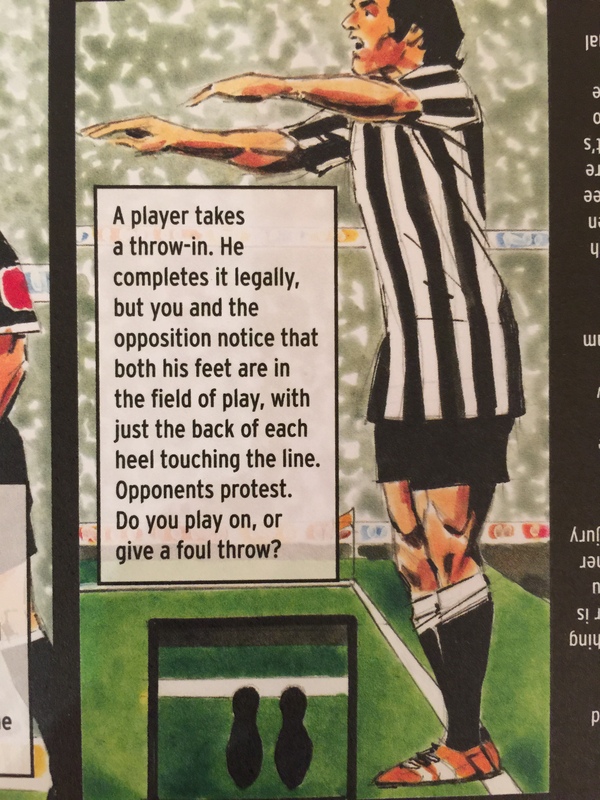 Most folks assume that the player’s feet have to be behind the touchline during a throw-in, but a throw-in is legal as long as part of each foot is in contact with the touchline, including when most of the feet are inside the field of play as shown in the images on the right and below. 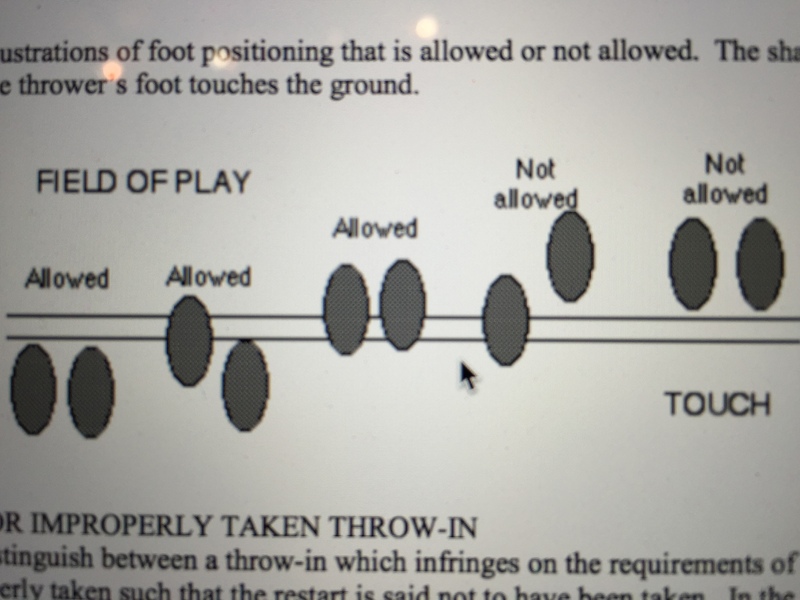 It is also legal when the feet are completely outside the field of play, of course. They don’t have to make contact with the touchline in this case. I hope this helps reduce unnecessary “bad throw!” calls.